om nom nom. Zat was a treat if I’ve ever had one. 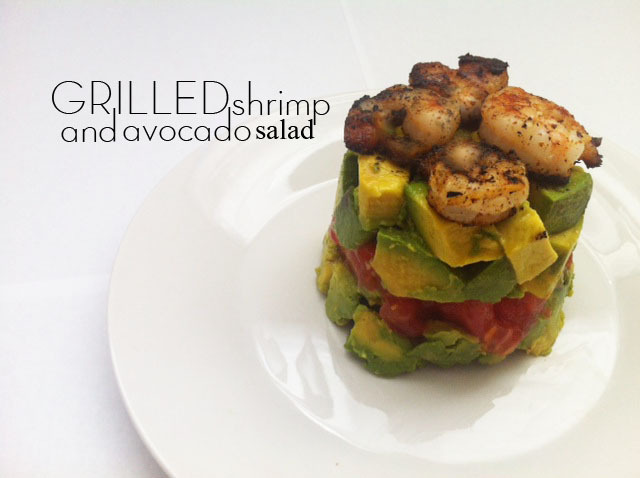 I was going through my pinterest recipe board to try to start-up the ole’ project and found this grilled shrimp and avocado salad. Problem was, it’s merely a picture on FlickR. Yeah I was all Like “what the Hecker-doodle am I supposed to do with a picture?” So here’s what I did using my instincts and asking my brother how I make that circular shape – the answer was so simple I’m embarrassed I had to ask. Fantabulous!! Love the image, but it looks like it tasted phenomenal too! LOVE your style,girl! YES!!!! YOU ARE BACK BABY! you are back!!!! !